New Gundam Wing model is on the way! Hobbyfan has opened preorders for a new, but vastly overdue, MG Master Grade 1/100 Gundam W – Wing Gundam plastic model kit. Yep, you read that right, the one and only original main Gundam from Gundam Wing finally gets the Master Grade treatment. Good job Bandai, that only took you, what, fifteen years? Hobby fan has the model priced at $48, with a purposed June 30th arrival date. This kit will pair up nicely with my Perfect Grade Wing Zero Custom, and Wing Gundam Ver. Ka: Projects that have been sitting in my room for too long now. Regardless of skill level, this new kit should be a must-purchase on everyone’s list. Bandai kits are stupid easy to assemble, and the end result always looks great; paint, or no paint. 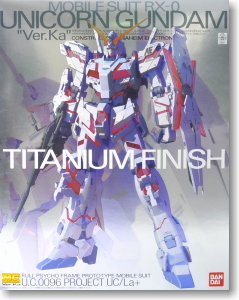 Plus, it took Bandai a really, really, really long time to develop this new kit. Don’t let their, and I use the term loosely here, efforts go to waste. Snag your preorder for this very awesome kit here: Click Me! H/T – Thanks to Raining Plastic for pulling $50 out of my bank account.